So many men are consumed with the purchase of the perfect engagement ring and wooing their bride to be, that they have never thought about what they want for their own wedding ring. Heck men, let’s admit it, we just really want her to say yes and that makes the rest just details. 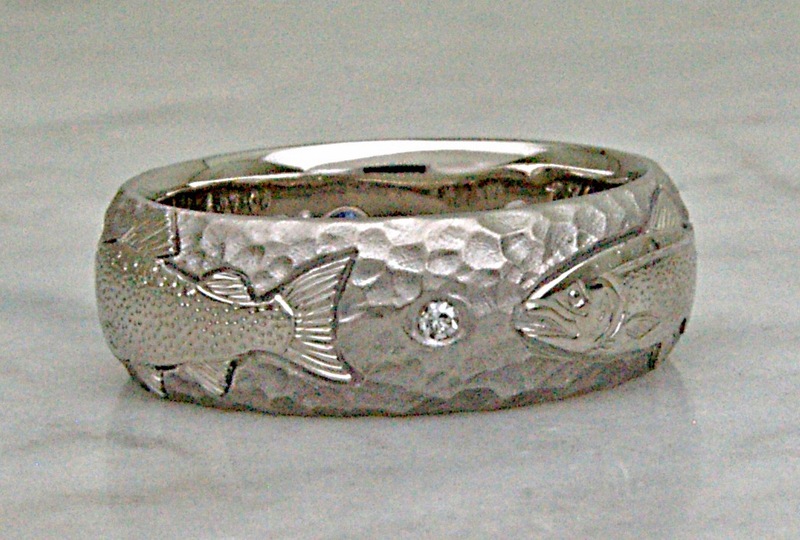 So when we get asked what kind of ring we would like and we answer with a blank stare, don’t despair, this is normal. 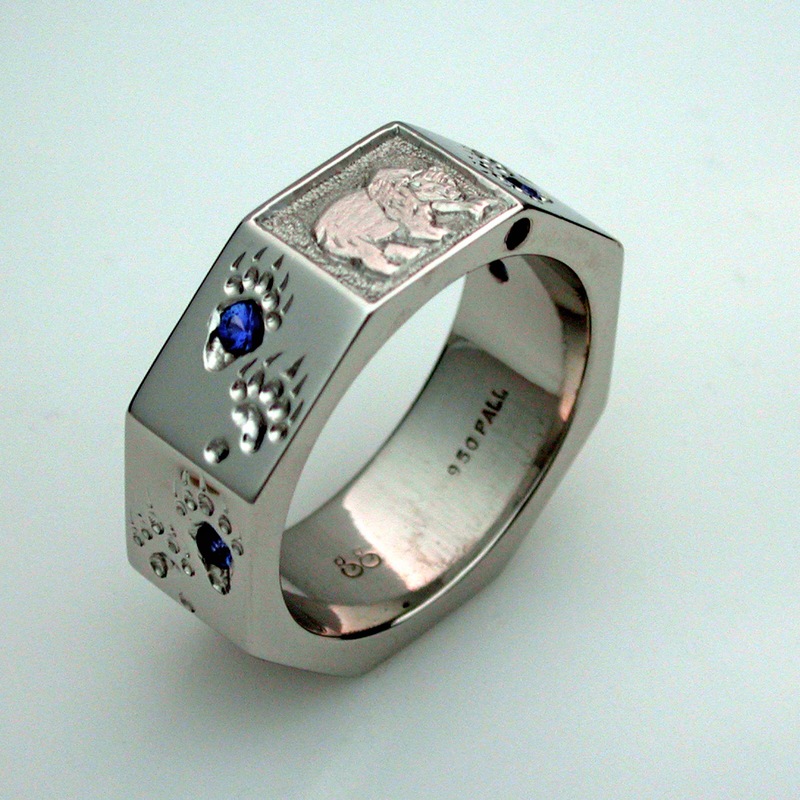 Many guys are not that interested in classic jewelry, diamond jewelry, or flaunting their wealth through big gems. What they don’t know is that they can have jewelry that represents who they are and what they are passionate about. 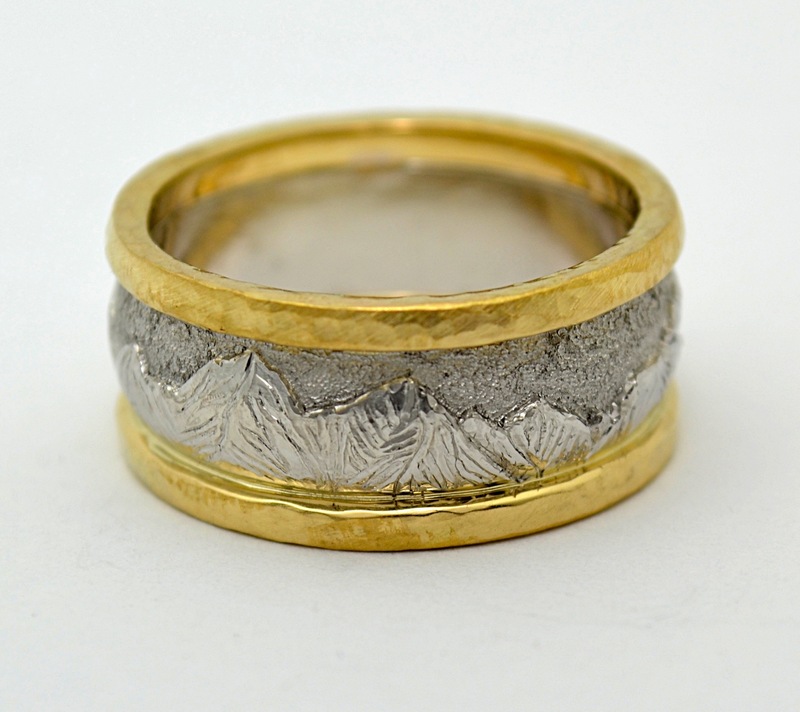 They can have rugged, durable wedding bands designed around their lifestyle. 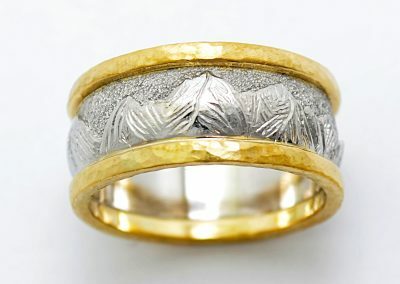 Working with a custom jeweler ensures that he can design a hammered, brush finished or riveted rings for the rustic and rough men; truly custom jewelers can make hand engraved mountain ranges, jumping fish, emblems, special phrases, incorporate favorite colors, and even repurpose family heirlooms. Do you like microchips, sci-fi, gears, or technology? No problem, let’s design it. 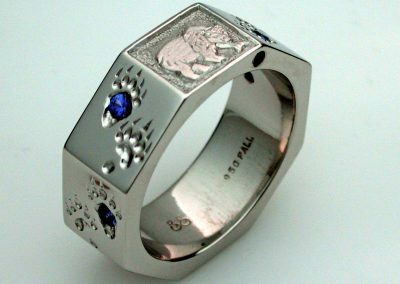 The point is that unless you explore the world of bespoke men’s rings you’ll both be stuck with the unexciting and standard fare available over the counter. 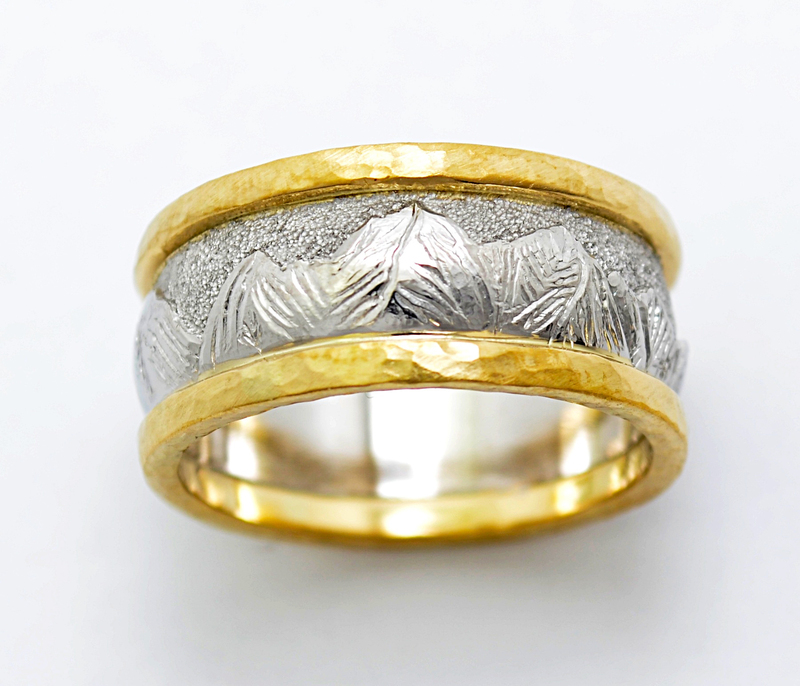 One more thing to consider about the perfect men’s wedding band is the decision to go with precious metals or alternative metals. 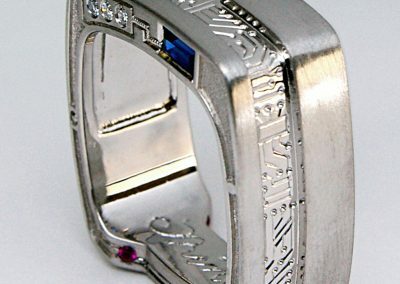 I love titanium, steel and tungsten, and many of the other cool tech metals. This is my case for choosing precious metal: it’s sizable. 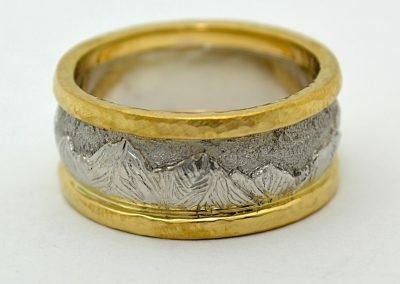 When you want your ring wedding ring to represent your lifelong marriage, I suggest that you choose precious metals because they can be size and repaired. You want to pick a metal that can grow or shrink with your finger size as life causes you to lose or gain weight, jamb your knuckle playing basketball, or all of the other ways we change with time and adventure. 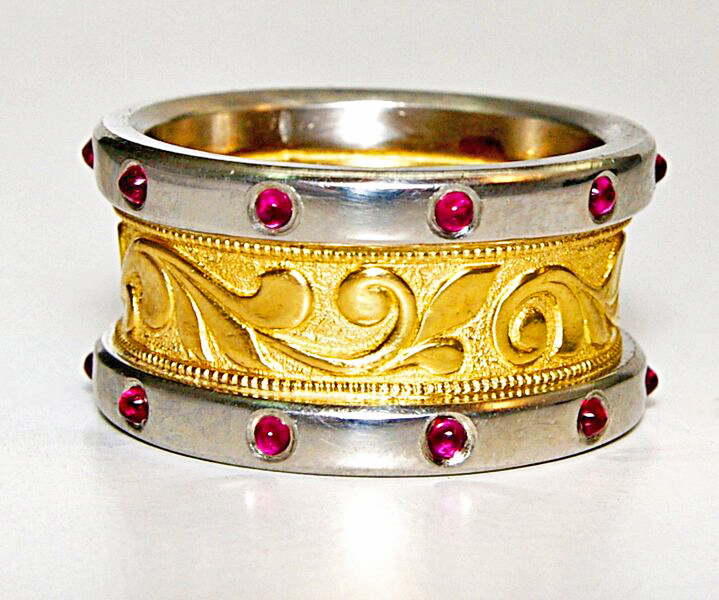 The alternative metals are for the most part not sizeable. Even if the manufacturer offers you a new ring every time your size changes, it won’t be the ring you said the vows with and you don’t have a guarantee that the company will be around in 10 years. 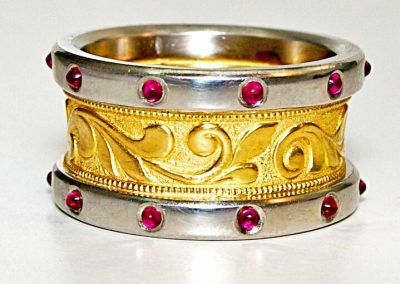 So here is my recommendation; work with us to design a custom precious metal ring that you actually like, one that is unique to you and that any skilled jeweler can repair and resize as time goes on. If you absolutely have to have that cool titanium and carbon fiber ring that matches your motorcycle, go for it, but make that your cheap ring that you can take to Cancun and won’t miss if you lose it scuba diving because you can always buy another one on Amazon. 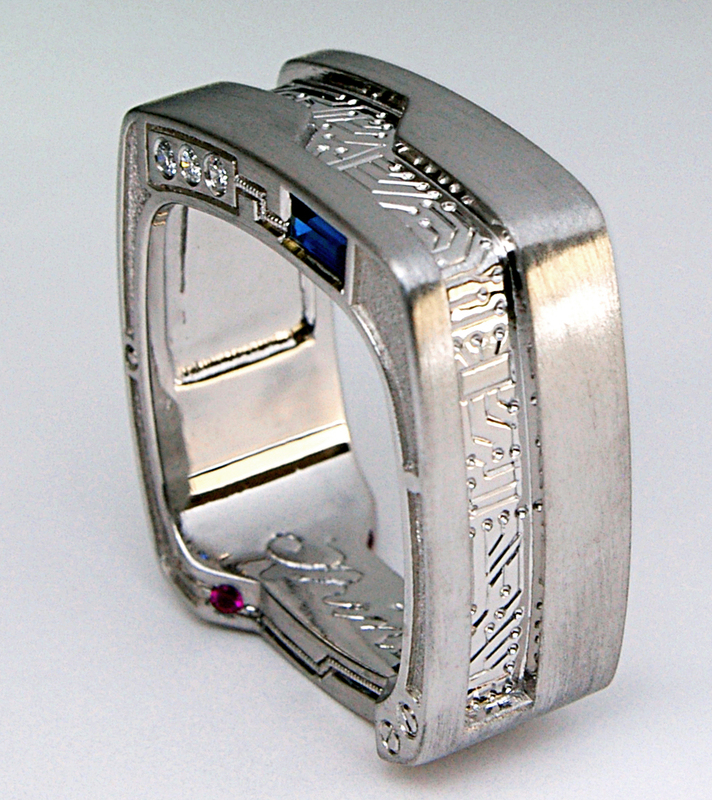 Whether it’s you or your fiancé that comes in to design we make sure to ask questions about lifestyle, passions, cultural heritage, and preferences to insure we make something that represents you, and that you will enjoy wearing. 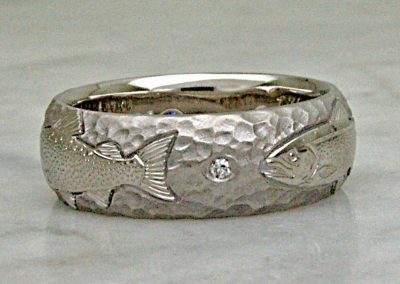 We design and build custom wedding bands for warriors, tech gurus, Vikings, car enthusiasts, mountaineers, fishermen, scientists, explorers, musical magicians, hunters, world travelers, engineers, and many more adventurers from many walks of life. It is about you and your story, and that’s the way we like it.